I made this on Saturday night after returning from a week's holiday. It's the much-later-spawned-unoriginal-twin of a gorgeous top that I spotted in Adrianna's Instagram feed. 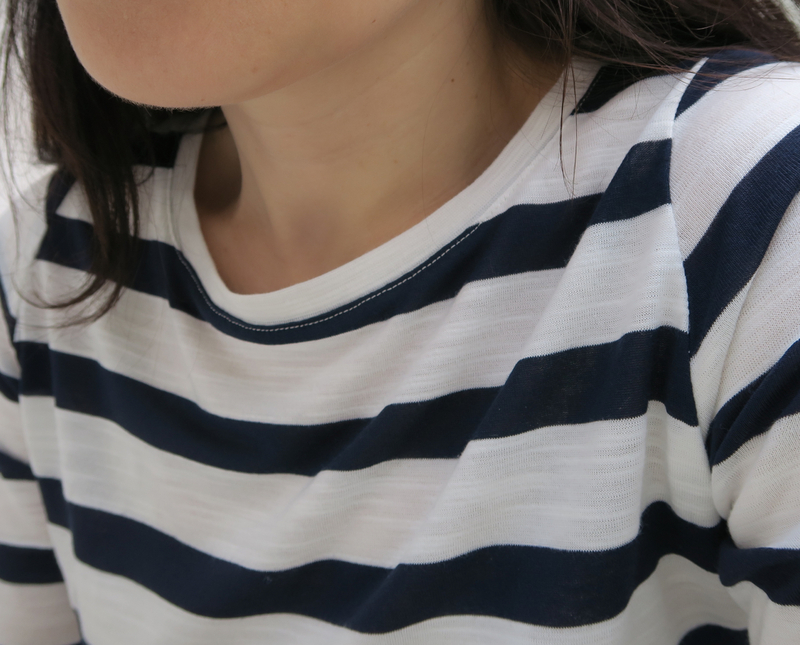 The date on Adrianna's photo tells me that I somehow first saw her t-shirt 65 whole weeks ago, which means that while time has flown, the Liberty/jersey stripe combo has stuck to my brain like a fly to a windscreen* for over a year. Adrianna used a different Liberty print, but combined it with this exact stripe (which is now available in the UK for those who want to take the mustard-striped baton and run with it - we could have a dressmakers' uniform! [Sorry, Adrianna...I'll stop now. Please forgive me for stealing your beautiful idea and then suggesting we uniformise it. That is a dreadful idea]. On the matter of the mustard jersey, I have long-admired the knits I've seen from Girl Charlee, so was completely delighted when I spotted that they'd opened a UK online shop a few weeks ago! 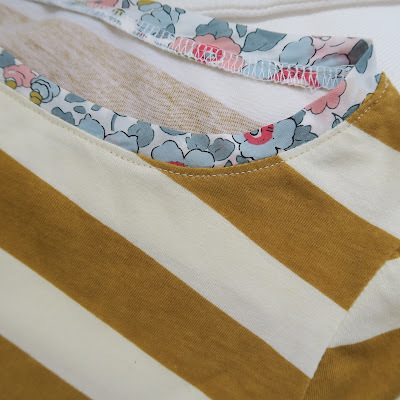 The mustard jersey above is slightly more stable than I usually like to use (not because I like to perversely challenge myself while sewing with knits, but because sometimes a very stable jersey can mean you sacrifice on the drape a little). However, they have lots of other drapes and weights to keep me happy on that front. 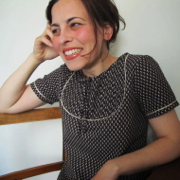 Last night, I made a top from this fabric, which seems almost identical to the fabric I made this top from, photo below. It's fine, soft, semi-sheer and has the most incredible drape. I also have a sample of this fabric and it's top of my wish list - a really similar light drape, but less sheer and a gorgeous colour that would work well for going into Autumn (I know it's August, but it seems to be hurrying along so rapidly that I'm already thinking about the cooler weather). Staying on matters jersey-related, thank you so much for your lovely responses to my Tilly & the Buttons giveaway post. Courtney, please get in touch and I'll send Tilly your details! Courtney said: I loved this post. It was like a trip down memory lane. I read it because I had just seen these patterns, have a few in an online shopping cart, but was delighted to find all of the book discussions too. I loved Judy Blume (just started Unlikely Event), Beverly cleary, Francine pascal, e.b. white but my favorites were Laura Ingalls Wilder and L. M. Montgomery. Fave book was a Little Princess which I acted out in my dollhouse for years. I was probably as flummoxed by the British terms in that as you were by khakis and mayo. 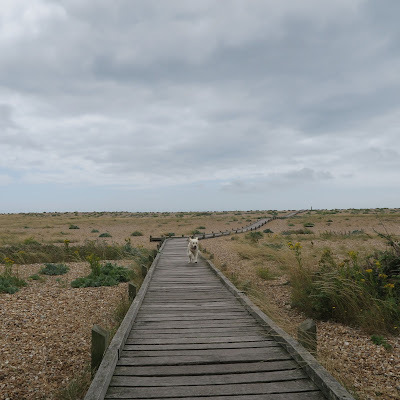 We went away with family and friends last week and possibly picked the worst week weather-wise in the last three months (although we still ended up playing cricket or rounders on five days out of seven). However, the heavy rainfall and enormous sofas were very conducive to reading and I tore through To Kill a Mockingbird, a book choice prompted by my father referencing Atticus Finch several times when we went out for a drink one evening a few weeks ago. I absolutely loved it. Similar to Kathryn Stockett's The Help, I found it a curious but wonderful thing to read a novel centred around challenging subjects that simultaneously has the feeling of being a warm cocoon of a book. 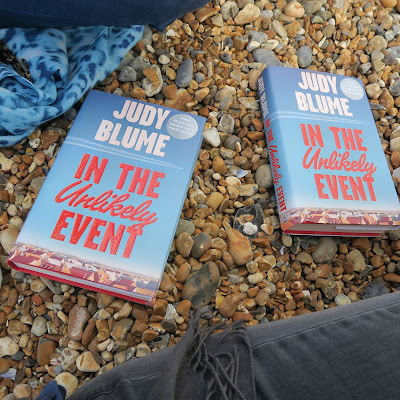 I then read In the Unlikely Event, Judy Blume's latest book, a fictional story based around the three plane crashes that did really happen in 1950s Elizabeth, New Jersey. My sister had bought us both a copy before we knew we'd be going away together and I loved reading in tandem (the last time we did this was in 2011 on a plane home from Russia together) and it was comforting that both of us had a little bit of the book left to read so that even once the holiday was over we stayed in the same place mentally for a while longer. 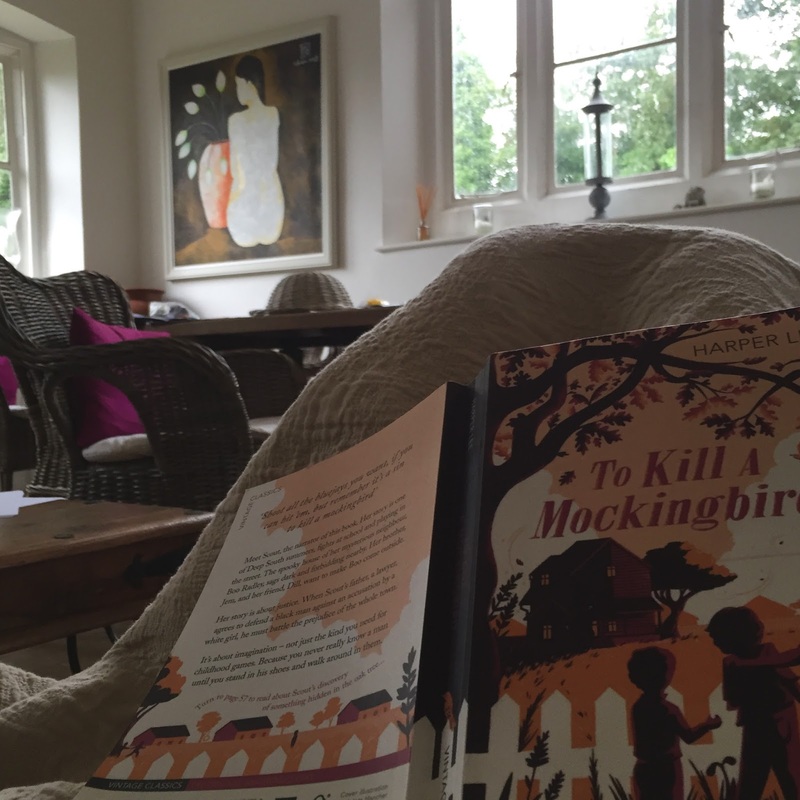 We both really loved this book, although it's not the best one to read before flying, so I'd save it for after a summer holiday if you're considering buying or borrowing a copy. While we were away, staying just outside Winchelsea, we visited Dungeness twice. I'd never been before and found it completely fascinating. 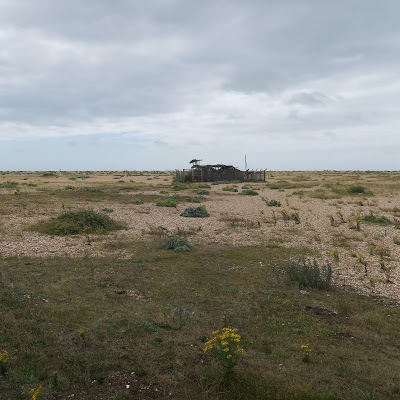 It's classified as Britain's only desert and has a barren bleakness that seems more characteristic of parts of America than anything I'd ever seen here - perhaps because there's a sense of there being a rare excess of flat space, less often found on our small island. 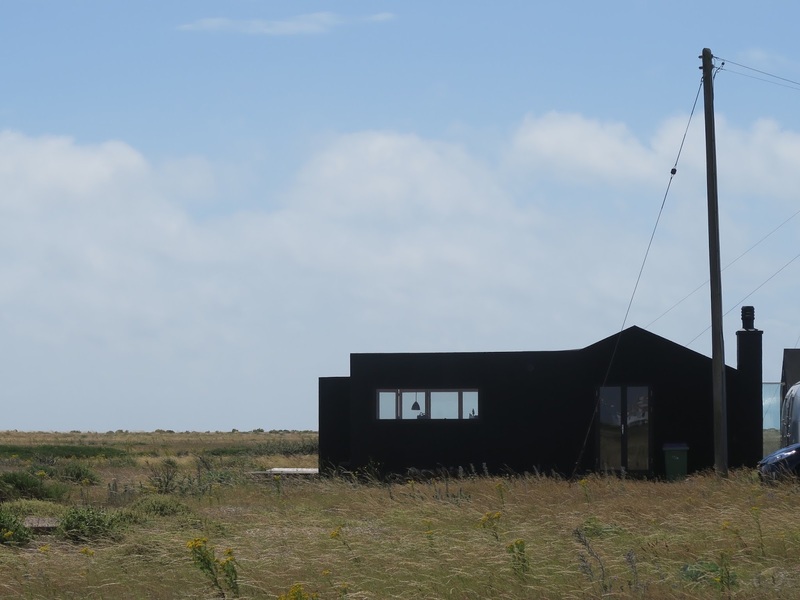 Dungeness is part beach, part desert, part wasteland and home to both ramshackle houses and cutting edge design. 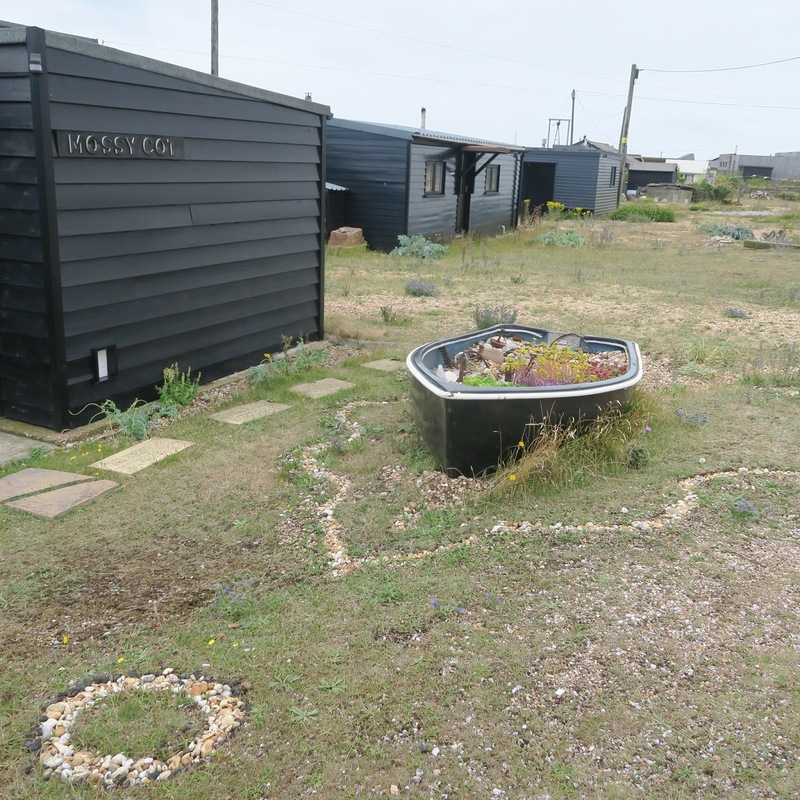 Sculptures are carefully created from things scavenged from the shoreline and sit alongside well-tended, but wild, gardens. It's a place that has the feel of wilfully mismatched crockery - a thing which you instinctively love or loath, but in this case, I really loved it. 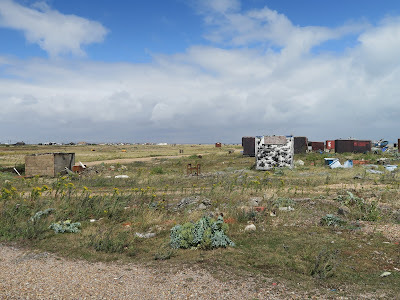 And just like crockery, if it's mismatched enough, it ends up somehow feeling cohesive and even the abandoned shipping containers felt like a valid part of the landscape. There are few boundaries and we walked around with a sense of utter curiosity about the estate's inhabitants: were they mainly recluses or creative geniuses (or both? ); was there a strong sense of community or did people move there to be alone? Could you just build a house anywhere and how did they define the boundaries of the land? These were two of my favourite houses. Oddly, the day after we arrived home, my mother-in-law rang us to let us know that there was a programme on television featuring some of the houses in the Dungeness Estate and so we were able to find out a little more. If you're ever in the area and you haven't already visited, I really recommend going! * For clarity: my husband asks what on earth I mean by flies sticking to a windscreen and says that this has never happened to him and that he doesn't believe this is a common phenomena that others will understand. You possibly have to have met with a plague of flies while driving through the Australian outback to see the highly-adhesive way in which they can stick to a windscreen on impact, but I have a memory from childhood of looking on in horrified disbelief as the bloodshed and bodies collected to gradually obscure my father's vision of the road. Once you've seen such a thing, you will understand the true sticking-power of a fly (or similar flying insect - I was about 7 years old, so can't be held responsible for recalling the exact type of flying bug). I'm unsure why the fly-windscreen analogy came into my head while writing this post, especially when Adriana's top was a very welcome thing that stuck in my head and no blood was lost in the making of the top, but it now seems to have dominated the post, so it may as well make it into the post title (I wonder if other people who write a blog also have a very specific order that they do things in? My order is invariably photos, writing and then finally a title. I'm almost incapable of writing until I have one photo on the screen, even if it's unrelated to what I'm writing about. Kelly, one of my lovely sponsors, once asked me about a 'blog post schedule' and I realised that it's rare that I know when or what I'm going to write about until I've opened a window to compose a new post). love your jersey top and the knit sounds like a perfect beginners fabric. 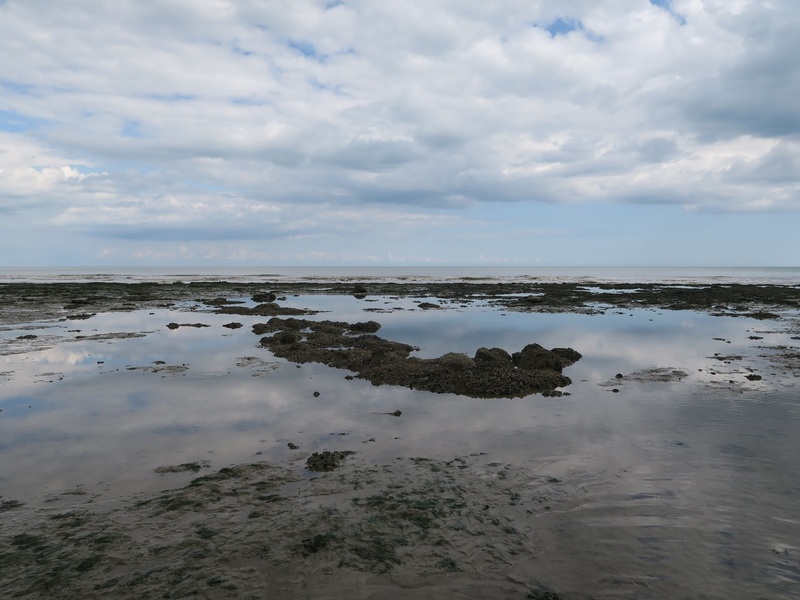 As I tap my keyboard I can see a reflect view of a painting of Dungerness - although I've as yet to vist there - did get close visiting Rye a few weeks ago. 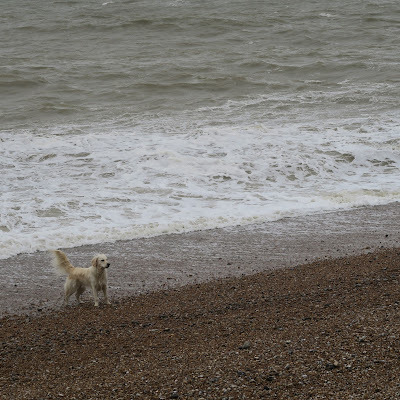 Did you visit Rye and pop into Merchant & Mills? Your memory of flies sticking to your father's windscreen is a vivid analogy and quite accurate for here in the UK. They were mist likely midges which can swarm in their thousands. Driving through a cloud of midges will result in the windscreen becoming covered with a hard to remove mess, the blood is from them having fed off animals,or humans. I really enjoy reading your blog, it is an inspiring treat to look forward to. Thank you so very much for sharing. I know exactly what you mean about bugs on the windscreen. It was a constant feature of summer driving. But lately I have come to notice that it no longer happens. I wonder, is it because the bug population is so depleted or is it that I no longer go for long night drives? My blog routine is similar, although I begin with something I want to chat about, find photos, then write, edit endlessly (does anyone else take a whole morning to write a post?) and then there is lots of head scratching for a title. I love your tee shirt, I bought a second hand over locker three years ago and still haven't used it! I remember my father having to use windscreen wash and wipers to clear the screen when i was little, and having to do it myself as well. I love the combination of stripes and liberty! 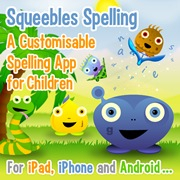 And am off to look over the girl charlee uk website - how exciting!! p.s. and absolutely-- on our twelve-hour drives to visit our grandparents in New Mexico throughout our childhood, there were a LOT of bugs that ended up on our windshield !!!! I love the jersey/woven combo, I shall be stealing that idea. Thanks for the girlcharlee tip, I didn't know about them opening a UK store. 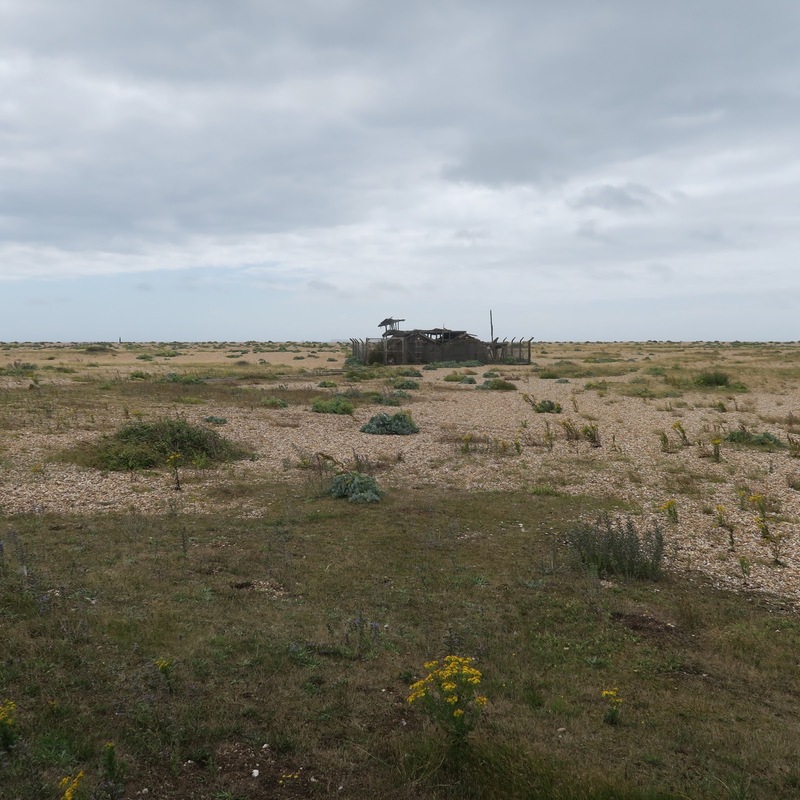 Really enjoyed your Dungeness pics too. Ahhhh, I had no idea that GirlCharlee has opened over here, I have no pennies left for clothes this month but have bookmarked lots of fabrics so thank you. Also Dungeness looks fascinating, can't wait to find more about it. So glad this bug stuck to your window! I am 100% in favor of making this a uniform. And if uniform can be described as something you wear more days than not, it's already mine :). I often have flies stuck to the window and had a spider inside the car the other day. Love the top! 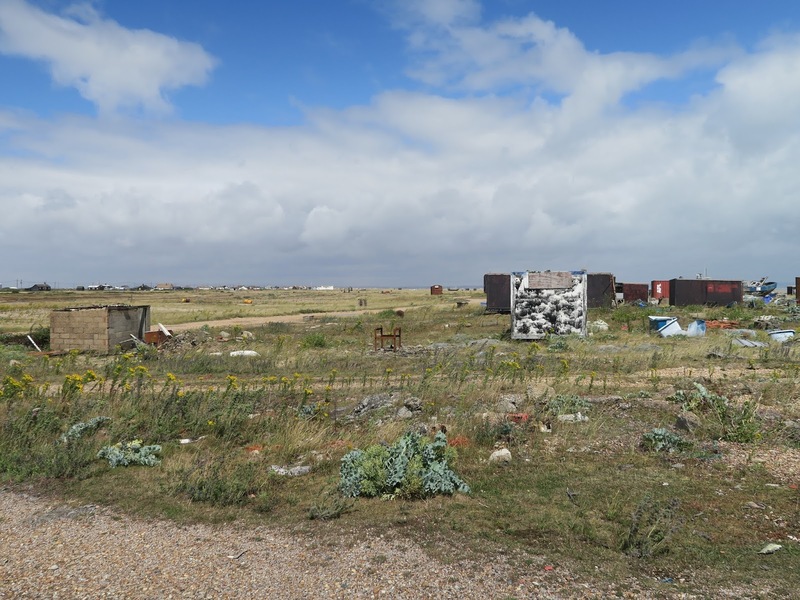 Florence it was lovely to read about Dungeness and see your photos. It's a place I've visited a number of times (though not recently) and it never disappoints. 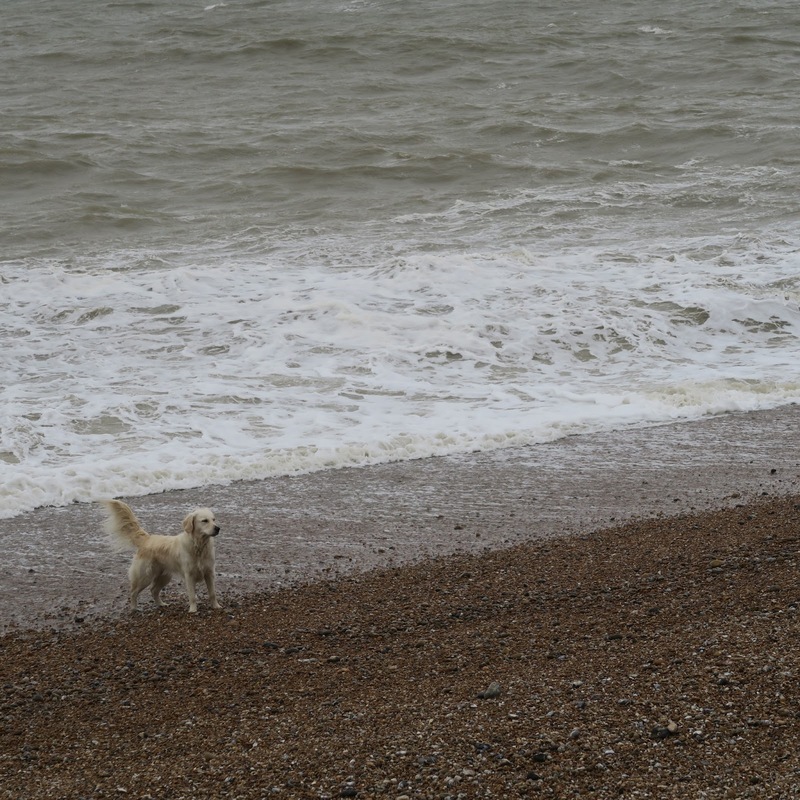 When I sit on the shingle looking out to sea, it feels like the edge of the world, just wonderful. One of the most lovely places there, that I always make time to visit, is the late Derek Jarman's garden. When I saw the title I was expecting a completely different look! 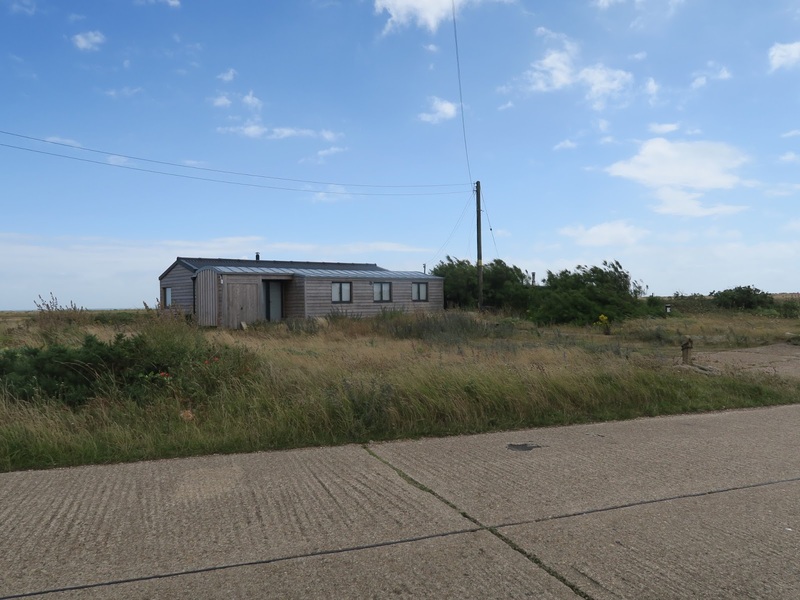 Dungeness looks fascinating; thank you for sharing!